Russian Vice Prime Minister Olga Golodets. A major poverty alleviation measure being considered by the government is to ensure that the poor people do not have to pay taxes. One of the major steps being considered to overcome poverty in Russia is to make the poor exempt from paying taxes, said Russian Vice Prime Minister Olga Golodets on Monday. She said the measure had been calculated and is currently being discussed in the government. Anton Siluanov, head of the Ministry of Finance, earlier said the possibility of moving to a progressive scale in the government would be considered after 2018. By that time, the economic situation should have stabilized. "We are currently seeing a continuing decline in the population’s incomes", admitted Golodets. The approach to fighting poverty, she said, would be a complex one: for the coming year, it has been budgeted to increase wages and pensions in the public sector. In the second stage, it concerns both lump-sum payments and indexation. The fall in Russian incomes accelerated in October. According to estimates of the Institute of Social Analysis and Forecasting RANHiGS, the population’s real disposable incomes decreased in the third quarter by 6.1%, compared to the same period in 2015. As a result, the index has updated its record low since 1999. At the same time, the levels of poverty, according to Rosstat, going by mid-year total months, fell from 15.1% to 14.6%. Finance Ministry representatives have explained that under the current economic conditions, introducing a progressive scale is impractical. While real incomes are falling, and the enterprises are in a difficult financial situation, the new procedure for levying personal income tax will stimulate the wages being led into the shadows. Currently there is a flat tax scale in Russia. According to Rosstat, the average income for a Russian citizen in October was 30,900 rubles ($ 470). An employee with this salary pays the treasury a little more than 4,000 rubles ($ 60) per month, or 48,000 rubles ($ 730) a year. Golodets has said that exemption of the lower grade of income from paying personal income tax is one of the major steps. In practice, a progressive scale means that the poor will not pay income tax at all, and people with a higher income will pay much more than they are now. From what level of income will Russian lawmakers make the cut? In Russia, all those whose monthly income is below the subsistence minimum, are considered poor. At the moment, it is 9776 rubles ($ 150) a month. In August of this year, the Liberal Democratic Party MPs offered to exempt Russians whose salary is less than 15 thousand rubles ($ 230) from paying tax. "The progressive scale is a very common measure in the developed countries – in Europe and in the US, where people with low income are exempt from tax. Usually this threshold is linked to the subsistence minimum, or with the poverty line", explained Marina Krasilnikov, head of the Levada-centre study of income and consumption. Given the Russian realities of income tax, it is advisable, she said, to exempt people whose income does not exceed 10-15 thousand rubles ($ 150-230) per month from paying taxes. Krasilnikov points out that the measure is long overdue, and allows you to restore the rules of collection of income taxes adopted in many countries, from which Russia withdrew when progressive taxation was abandoned. In contrast to the flat system, progressive taxation is aimed at redistribution of income between the rich and the poorer sections of the population. "The progressive tax system definitely helps to reduce the inequalities in income," said the Organization for Economic Cooperation and Development (OECD). "Setting up a progressive scale is necessary so that the poor themselves are exempt from tax, the bulk of the population does not pay very high taxes – the same 13% -15%, and the most wealthy pay very high taxes", says Krasilnikov. The expert points out that in many countries, these rules apply to property taxes, too. It is primarily about real estate, which is not taxed at a low income level. "We are not discussing this yet, but this is an absolutely normal international practice, developed over decades", says Krasilnikova. Progressive taxation has a lot of opponents. They are sure this is nothing more than a populist trick. The tax burden on the middle class will grow, and the "target audience" of progressive tax, high-salary earning citizens, will be able to get around the system. 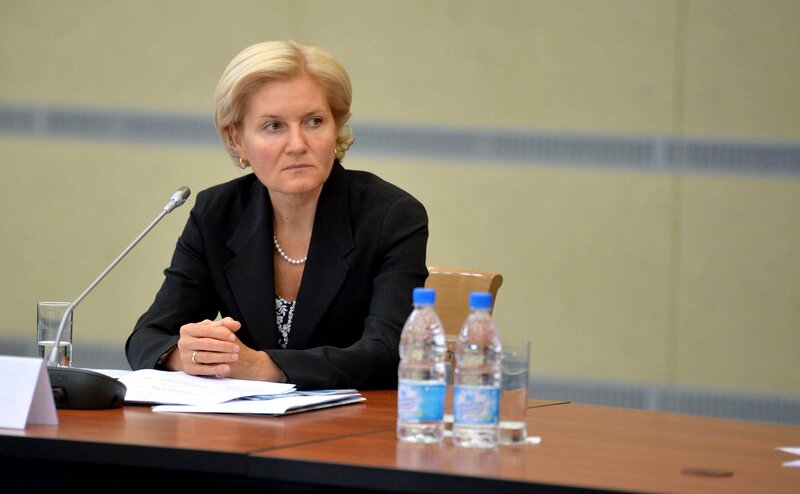 Their incomes will be led into the shadows, "as before" (the progressive scale operated in Russia before 2000), said Natalya Kornienko, Head of the Laboratory of the tax system of the Science stream at Macroeconomics and Finance Institute for Economic Policy named after E.T. Gaidar. "But this is what the work of the fiscal authorities in each country involves - making the rich pay taxes, and not run from them", objects Krasil'nikova. In every country, the well–to–do citizens represent a finite number of people, and therefore "we must somehow learn to try and get them to pay taxes." Do the rich advocate the preservation of a flat scale? Finance Ministry representatives have noted that the oligarchs have not approached them on the issue.